World first 5G phone is now available with great features like 3D video/UHD video and rich media. 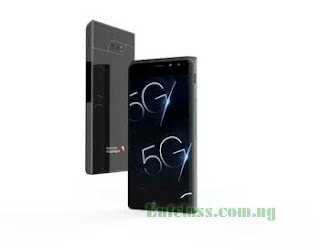 While 4G is yet to be made available in some countries, 5G is already on its way, and now, the supported phone has been unveiled. According to source, 5G network might become a reality come 2018, and there are quite a number of mobile manufacturers working on 5G smartphones. These companies includes but not limited to: Nokia, Samsung, Qualcomm, Ericsson, and Intel, among others. According to a reliable source, 5G network might surface in 2018, and the countries expected to first have the 5G networks are China, Japan, South Korea and USA. Moreso, there some countries that are currently test-running the 5G network. How is the Fastness of 5G Network? As an example, Samsung’s 5G trials have revealed 1.2Gbps in a vehicle moving at 100 km per hour and 7.5Gbps in a stationary position. With more optimisation work being done, perhaps we should expect faster 5G speeds even more than these. Which Countries Are 5G Supported? No mobile network anywhere in the world is 5G ready yet but test operations between network equipment manufacturers and network operators already exist. Intel plans to make its 5G mobile trial platform available for the 5G network being deployed by Korea Telecom (KT) for the 2018 Pyeongchang Olympic Winter Games, so expect a 5G network up and running in Korea next year, 2018. Qualcomm released the first 5G modem, the Snapdragon X50, in 2016. 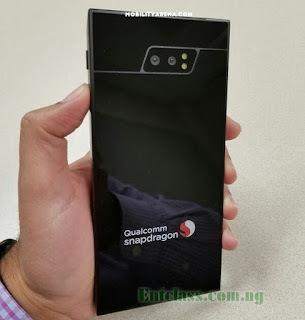 We are guessing that is what powers the world’s first 5G smartphone that was showed to the world by Qualcomm’s Marketing lead for LTE and 5G NR modems, Sherif Hanna. See picture below. The phone is not for sale and it's not available anywhere in the world. The phone is a trial device and will be used for optimizing of the new 5G technology. Wow that kinda speed mennn. The rate of advancement of digital tech is really awesome. nice one, thanks for this post.